With more than 250 subsea wells and over 500 platform wells to be decommissioned in the UKCS by 2022, all must be permanently abandoned by setting the required barriers (plugs), severing all casings and conductor 10ft below mudline. 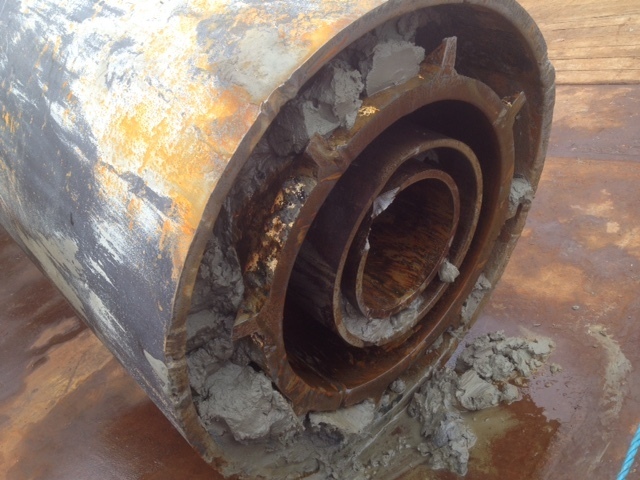 The process then involves recovering the wellhead to surface for disposal. This is no mean feat, but Decom Offshore is providing a platform for addressing the challenges and demonstrating technologies that can overcome them. Aberdeen-based oilfield services firm Proserv is illustrating the considerable work it has been doing to evolve its well severance tools specifically for the decom process. The company’s Multi-String Cutting (MSC) tool has been developed from more than 20 years of water abrasive cutting experience in terms of its operating methodology, technology and offshore execution. Mark Stephen, senior technical authority at Proserv and who is presenting at Decom Offshore, said: “The MSC is a down-hole tool that uses water abrasive jetting technology to sever through multi-string wells from 7” to 20” inner casing out to 36” outer diameter. “The tool and associated equipment is used to sever platform or subsea wells internally below the mud-line,” said Stephen. As a result, the MSC has severed and recovered over 140 surface wells from below mud-line in the Gulf of Mexico since 2009 as well as that of 25 subsea wells in the North Sea through utilising the MSC and Proserv’s wellhead retrieval (WHR) tool since 2014. In addition, the MSC has been integral to rig based work in 2016. This has involved the completion of eight North Sea subsea wells using single trip well severance and recovery technology in nine days. Proserv’s MSC severs the well 10ft below mud-line and, combined with the WHR tool, recovers the wellhead to surface which completes the final phase of the well abandonment process in a single trip. Stephen said: “The MSC tool is deployed into the well to 10ft below mud-line and is locked and sealed into the wellbore casing.